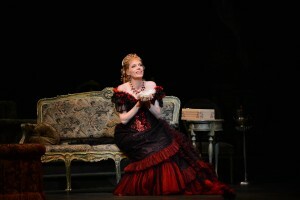 The 2015 Fort Worth Opera Festival’s opening night was supposed to be in the Scott Theatre with the opening of Dog Days, but after severe weather knocked out power at the facility and a fire alarm cancelled the serendipitous acoustic preview, the Festival’s opening night was delayed until Saturday evening at Bass Performance Hall for the opening of Verdi’s La Traviata. 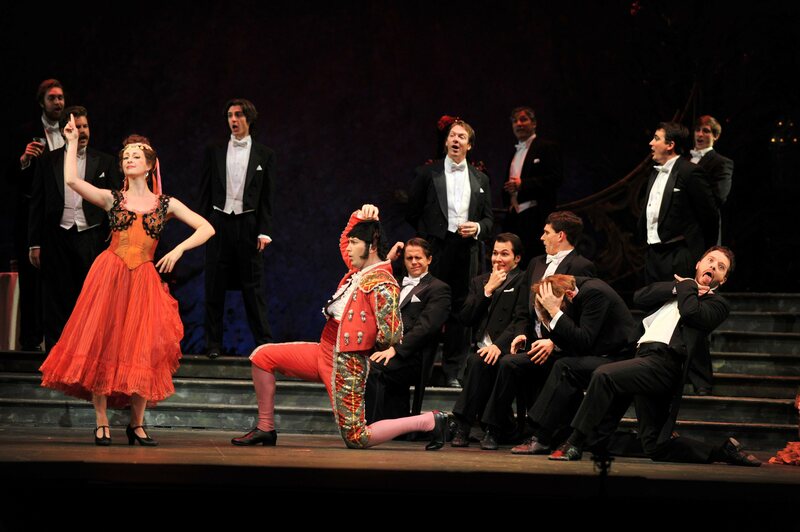 The “rocky start” theme of the festival continued into La Traviata as the subtitles didn’t start working until the final scene of Act I.
Luckily that didn’t seem to affect the performers themselves, especially not conductor Joe Illick and the orchestra members who absolutely delivered in the many famous musical moments of Traviata’s opening act. Despite Patrick O’Halloran (Alfred Germont)’s skillful performance of The Brindisi, it was clear from the beginning that this was Violetta’s show. 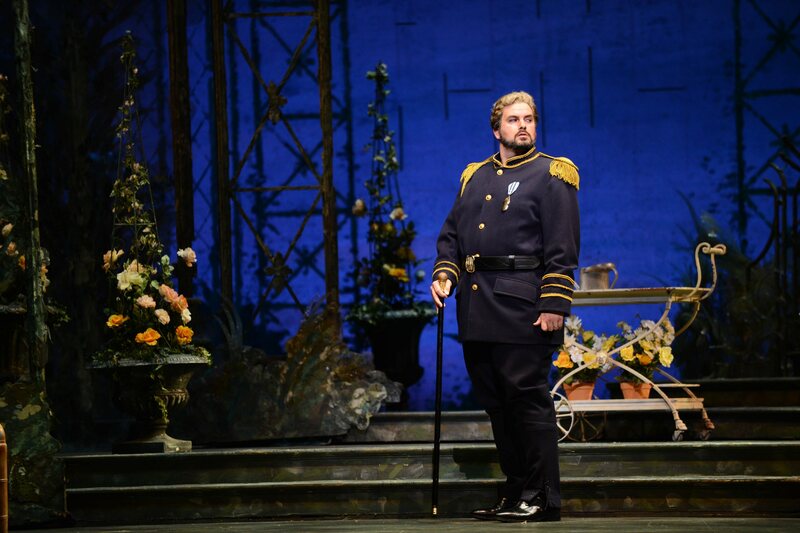 Rachelle Durkin made a strong statement in her È strano!…Ah, fors’ è lui aria, but truly came into her own during her Act II scenes with the impressive baritone Nicholas Pallesen as Giorgio Germont (Alfredo’s father). The highlight of the evening, Act III’s gypsy dance, was quite the show for the arts in Fort Worth. The collaboration between the Fort Worth Symphony, the Fort Worth Opera Chorus and the Texas Ballet Theater was a prime example of what makes a Grand Opera like Traviata so grand. With such excitement around Dog Days and Hamlet this season and the already much-talked-about push for JFK next season, it feels like Traviata is a bit overshadowed, which is odd for such a major work in the FWOpera cannon. 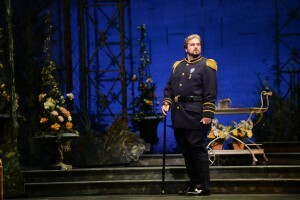 However, scenic designer Desmond Heeley’s grand staging and the fantastic performances like the gypsy dance in Act III, reveals how Traviata underscores the versatility of the company as well as emphasizes the Fort Worth Opera Festival’s celebration of opera new and old.